I couldn't go to sleep and, as I'm known to do, I get on my phone and turn on Netflix to see what I could watch. Voltron wasn't coming on until Friday and Big Mouth was a little too Big Mouth for me. And then I saw a notification alert in the corner. Cleverman season 2 had arrived. It was too late for me to truly get into that but I was glad Cleverman was back. It's a solid show touching on Australian Aboriginal myth and current societal issues related to refugee status and racial identity. 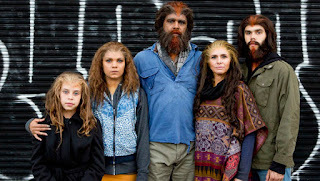 Cleverman is an Australian television show about humans and another race of creatures called Hairies or the Hairypeople, who are pretty much that- hairy people. They are almost covered in long fur and are stronger than regular human beings. They have their own language and have more knowledge about the history and mythology of their country than their human counterparts. They were known to a few groups before their existence was revealed to all of humanity a few months before the show begins. One of those people who know about the Hairies existence is the Cleverman. The Cleverman is a human who has knowledge of the ancient histories of this world and also knowledge about the Dreamtime, a land of mythological creatures in Aboriginal legend. They are protectors of mythical creatures and keepers of ancient history with some mystical healing powers and a mystical war club. They are like the Sorceror Supremes of Australia with a link between our reality and the Dreamtime. Our story begins with the Hairies being round up and living in hiding or inside The Zone, a refugee area. There is a corrupt government plan to subjugate or kill the Hairies. The current Cleverman is about to die and must pass his mantle on to one of two half-brothers- Waruu, who is an equal rights activist and wants the Cleverman role and his younger brother, bar owner Koen, who is sleeping with his best friend's girlfriend and sells out Hairies to the government to supplement his bar, a family of which we follow during the first season. 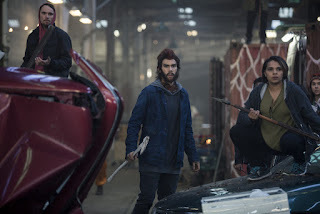 The brother's path and decisions that they make on the path to one of them becoming the Cleverman and the government machinations are all very important but Cleverman is ultimately, to my eyes at least, a story about being better human beings and the paths of the Hairypeople. They are the original inhabitants of a land and are now an oppressed minority group in their country. The first episode starts with a girl reading a book being aggressively hit on a bus until she reveals herself to be a shaved Hairyperson and then the bigoted language begins and she fights her way off the bus. The news report the next day portrays her as the initiator of the exchange and a violent example of all of her species. This is a familiar demonization of the refugee populations around the world and they are even referred to as subhumans. The Hairypeople become refugees from the Dreamtime and their story is presented clearly in the Hairy family that Koen sets up to get caught by the government in the pilot episode. Left to right- Jyra, Latani, Bondee, Araluen and Djukara. The parents, Araluen and Bondee, are simply trying to find a safe space for their family and pays Koen to get them into an apartment where they can just blend in and live. Their children are older son Djukara, middle daughter Latani and youngest daughter Jyra. The family is captured in the first episode, with Jyra getting killed in the process and Latani hiding and escaping. Bondee and his son are placed in a containment facility, where they are punished and shaved. Bondee tries to be peaceful and goes along to stop his family from being hurt anymore but Djukara is a young temperamental man who eventually escapes imprisonment and makes his way to The Zone. Araluen ends up in the containment facility until she is forced to work in a brothel. Latani survives in the street with the assistance of a kindly elderly neighbor until she too ends up in The Zone. The family's existence is the expected path of people living in a world dependent on the kindness of strangers, most of which see them as exotic outsiders with a penchant for violence. The violence though only emerges as a defense mechanism against being treated as less than and being physically manhandled. The only other time they are violent is in ceremonial battles inside tribes, similar to wrestling, but this viewed as savagery by humanity without the knowledge of why this is occurring. On top of this, the exoticism of their nature is used to sexualize Hairy females and is very similar to Western Culture's depiction of non-white standards of beauty that is sometimes used to exclude people in the mainstream but allows for "quirky" attractions to non-white beauty in other areas. This is what ends up happening with Araluen in the brothel, being used by a gentleman who presents a different anti-Hairypeople public persona versus what he prefers in the bedroom. Djukara being shaved by Containment Authority officers. Djukara is the typical representation of the young rebel in training. He is an outcast to larger society, is punished for being part of a minority and/or disenfranchised group, see the only way out as violent resistance and is allied with other disenchanted young people to fight against the system. Djukara finds help in surviving by two other escapees and the other more aggressive individuals who live in The Zone. He wants to live in peace but doesn't have a solution to how to accomplish this beyond fighting against the world that hates and fears him. Fighting is the only option he perceives as left for his people in this world of abuse and oppression. Latani, on the other hand, survives because she encounters humans who realize that Hairies are beings deserving of the same freedoms as humans, first in the form of a neighbor and then in the person of Waruu's daughter and wife. She survives by remembering who she is, trusting the right people and adapting to her new circumstances until she can find a place to be herself fully. Latani shaves herself and gets contacts to blend in until she can make her way to The Zone and her people, including her brother. The resistance, including Djukara and a shaved, incognito Latani. With all the angles of the Hairypeople being refugees, they are actually a representation of indigenous people who have been removed from their ancestral lands, particularly the Aboriginal people of Australia. Aboriginals were taken from their families, educated in the ways of the European descended captors and had their language and myths almost forced from their lives. This is similar story to the Native populations of the Americas and in other countries and is very much what seems to be in the nascent stages for the Hairypeople of Cleverman unless they can stop it. They still maintain much of their history and traditions in The Zone, where they also live alongside and are allied with Aboriginal Australians. Refugees are often set against the oppressed inhabitants of the land that they move to and only when they realized they live in a similar status level does true change begin to happen. The times are changing and cultures need to come together while respecting each others' traditions. The Cleverman title and weapon is passed down a bloodline of Aboriginal people and there might be meaning in Koen being chosen as the new Cleverman. Koen, who is the product of an affair between his Aboriginal father and non-Aboriginal mother, might be the best suited for the job if he can get out of his own way and see the Hairies as being equal to humans. I think he will since the first episode starts with Koen selling out a whole family, having little sympathy when their youngest daughter dies and labeling them as "subhuman" and the final episode of the season ends with him exorcising the soul of the tragically killed daughter, uniting the residents of The Zone to fight back against the governmental forces and embracing the responsibilities of the Cleverman. Cleverman is a series about the journey of a young man trying to find his path and stumbling along the way. It is a series about two brothers with good intentions but enormous human flaws. It is the story of a world adjusting to a new reality and people revealing who they really are inside. 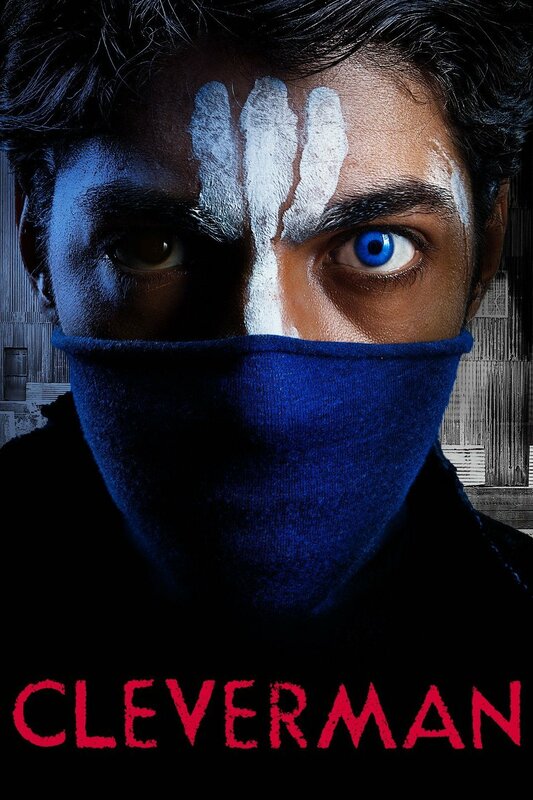 But, more than that, Cleverman is the story about how we treat each other and those we see as different. Our fear and hatred motivate us in our actions but so can our desire to learn and be better. 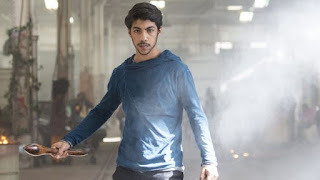 Cleverman shows the evil that can come from trying to squash the unknown that we fear but it also shows the potential for us to become better with having an open mind and understanding. I hope season 2 continues this. I guess I'll find out soon enough on another sleepless Netflix night.